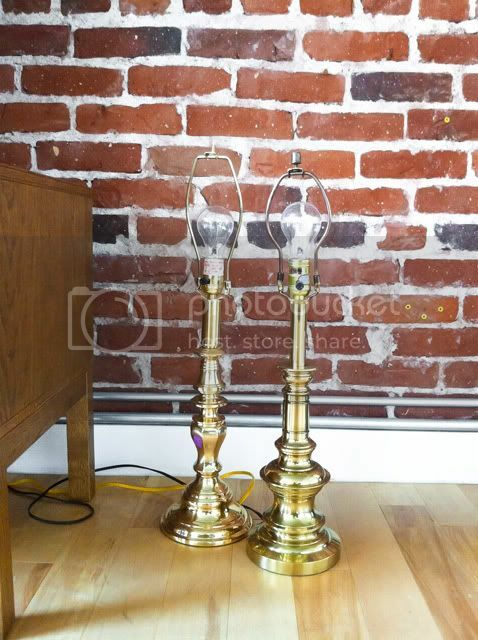 I always see these shiny, gold lamps at just about every thrift store I go to. I've never been crazy for them until I came across a Swedish blog, hus & hem, which simply means house & home. It featured a couple's charming home and they had a small collection of these lamps in different sizes. 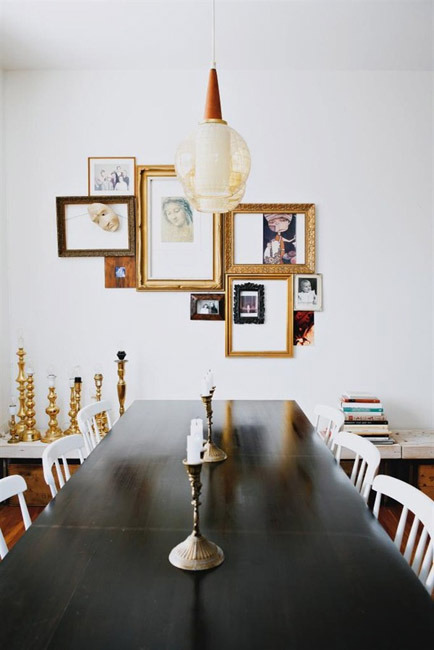 I think it looks fabulous which I'm totally gonna steal for my place. They usually run about $5 to $7. I'll shell out only if they're half off. Thinking of pairing it with either an antique light bulb or a normal 5 watt bulb, so the lighting will be softer. I've got two so far. Most of the lamps are in this size so it'll take some time(like everything else) to get this collection together.